On Friday morning, famed author Harper Lee died at the age of 89. She passed in her hometown of Monroeville, Alabama, where she had lived for nearly her entire life. Lee, of course, wrote the landmark American novel, “To Kill A Mockingbird,” which was published in 1960 and adapted into the classic film of the same name starring Gregory Peck in 1962. Hundreds of remembrances will be published today about Lee and what she meant to literature. They will trace back through her life and recount her early days in Monroeville, her college years at Huntingdon, her relationship with author Truman Capote, the cultural impact of “Mockingbird” and, without fail, her challenging relationship with fame. Most, if not all, of these articles will devote a substantial amount of space to the questions of why Lee never published another novel — I hear you shouting “Go Set A Watchman!” but we’ll get to that in a minute – and why she hid herself away from the spotlight. Since Lee began declining interviews in the 1960s she’s often been described as “reclusive” or “elusive”, two words that project the picture of a standoffish woman resentful of a life ruined by success, or perhaps an eccentric artist incapable of navigating social situations – an agoraphobic Southern woman unable to cope. One writer even gave a strangely braggadocious account of how he was the sole remaining person to have interviewed Lee! A coup d’état! So, you’re saying she was a private woman who lived a polite, un-extraordinary life among friends and family in her hometown? You’ll forgive me if I don’t gasp. Sure, the conversation around the mystery of Lee has quieted down in her final years, but for decades people tried to answer questions about her art and her life that not even Lee herself seemed interested in asking. And what we see in Lee is a perfect example of how once success turns artists into celebrities, they stop belonging to themselves and start belonging to us. Their minds, in a way, become our property. It was like being hit over the head and knocked cold. I didn’t expect the book to sell in the first place. I was hoping for a quick and merciful death at the hands of reviewers but at the same time I sort of hoped that maybe someone would like it enough to give me encouragement. Public encouragement. I hoped for a little, as I said, but I got rather a whole lot, and in some ways this was just about as frightening as the quick, merciful death I’d expected. Here we have a woman drawing a parallel between her sudden notoriety and being rendered unconscious, and yet we kept wondering why she receded from public view and lost the desire to publish new works? 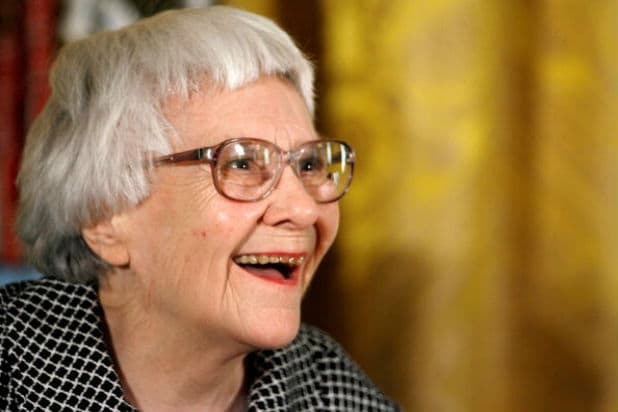 Harper Lee simply didn’t want to be in the spotlight, and consciously chose to withdraw to mitigate the pressure of the public eye, and presumably to avoid the unreasonable expectation that her creative process would operate on someone else’s timeline. But this is what we do to celebrities. We love their art so much, and by extension them, that they become a part of our experience instead of author’s of their own. And, of course, if they do not continue to meet our needs we decide they’ve let us down. In contemporary culture we saw the same thing with Justin Timberlake. His 2006 album “Futuresex/Lovesounds” was an inescapable pop masterpiece, and it resulted in him spending the next seven years fending off questions about when the next album would drop. “Where’s the new Timberlake album?” became a sub-theme of music journalism. So by the time “The 20/20 Experience” arrived in 2013, the hype could not have been bigger and the album was… pretty good. Not a watershed moment in pop music, but yeah, it was a really great entertainer putting out a pretty good album. But Timberlake was in an impossible position. Short of releasing the next “Sgt. Pepper,” nothing the singer could have dreamt up would have met the expectations of the frothing masses. But we wanted it. We demanded it, and at a certain point decided we were entitled to it. Frank Ocean is surely feeling a similar pressure right now, as demand for the follow up to his phenomenal 2012 debut “Channel Orange” has reached desperate meme status. Most of the time our cries for “More art!” don’t surpass banal Twitter chatter (“Waiting for that album to drop like…”), but pushed to its limit, that kind of clamoring can result in bad business and even harm to the artists. You’ll notice that this article generally disregards “Go Set A Watchman,” released in 2015, as an official work by Lee. The suspicious circumstances around the manuscript’s “discovery” and subsequent publication have an uncomfortable patina of exploitation on them (e.g. a Newsweek article called “Friends Say Harper Lee Was Manipulated”). At the time she granted “permission” for “Watchman” to be put out into the world, Lee had suffered a stroke and was in an assisted living facility. The notion that, after 55 years of not discussing or releasing new material, Lee decided to unearth a new book from her archives, feels a lot like people with power of attorney trying to cash in on the author’s legacy. Yes, Harper Lee is a rare case, and the notion of taking advantage of an old woman who had lost the power of self determination is an extreme example of craving new content from a beloved artist, but it is still indicative of what can go wrong when opportunistic people see they can fill a vacuum created by excessive demand. And the idea that Lee spent her life so successfully muting shouts for a new book, only to have something of hers published when she was of questionably sound mind, is a terrible shame. Harper Lee was not embattled about her fame. She just didn’t want it. She wrote one of the most beloved and renowned books of all time, and then exercised her prerogative to live a simple life outside of fame’s reach. This was not a problem, and we did not deserve more from her. It’s amusingly perfect than one of the few public comments she made in the 60 years since “Mockingbird” was a letter to Oprah Winfrey in which she talked about her love of books. Not her own books or a new book she was writing, but just about falling with love with books. In 2016 terms, it was like Lee was trolling, but that would imply she made decisions about her actions based on the reactions of others. But Lee did not seem to live for the approval of strangers, and at a time when artists are subject to constant public demand for extra pounds of flesh, a life defined by quiet self-determination is one worth truly admiring.